UFO Disclosure Countdown Clock: The Ukraine UFO? 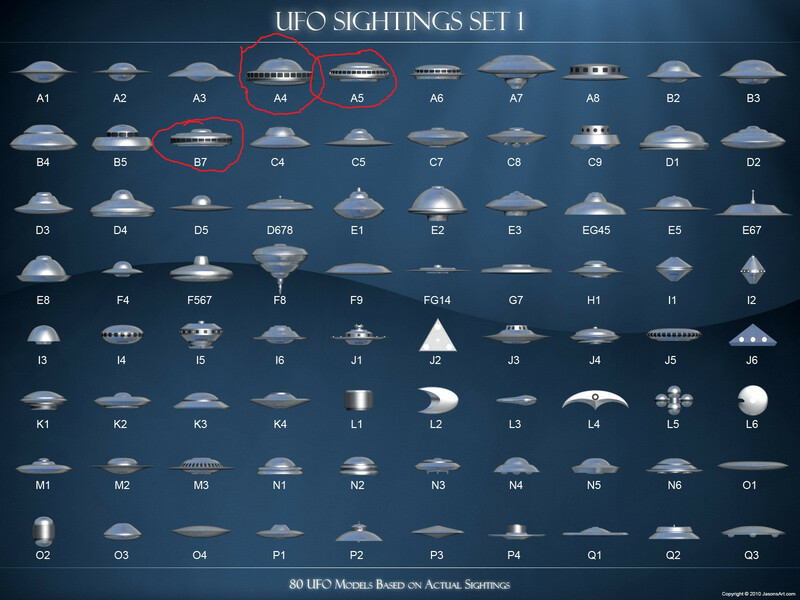 Is All This `The BS of UFOlogy' In 2014? The Ukraine UFO? Is All This `The BS of UFOlogy' In 2014? Somewhere in the back of my mind I heard the words `Google Ukraine UFO' (seriously) - so I did...... (figuring that perhaps my mind thought that with all the public protests and turmoil in Ukraine that an Orb or two may be present over some of the action so to speak, as has been filmed in the past at political gatherings)... and the results I found ultimately are simply stunning - , dumbfounding really - revealing the nature of the UFOlogy state of being of 2014. You see, it seems that on March 9th the below video (first up on my G search of Ukraine UFO) was uploaded by one Paul Gilbert, a self proclaimed Medium Clairvoyant (his channel on YT would suggest that he felt compelled to be a doomsayer in ONLY the last 6 months - in late 2013 he seems to have tipped over the edge based on the total BS of Comet ISON - which the alternative loonies had turned into everything from an alien invasion force onward.... sad.... seemingly totally bought into all the crappola - or is part of the crappola that `they' continually start BS YT channels such as his?) ... and even during 10 minutes or so into trying to get to the bottom of this .... the headline sticks (I will ultimately spend more than an hour on this today) .... is this ALL BS? Anyway, here's the video I found as the first listing for Ukraine UFO that conveniently includes pictures and video and graphics that TELL a STORY IMO..... and only a story? Fasten Your Seatbelt! about a super anti-gravity (gravity manipulation) craft of the USA Military.... you see, Paul Gilbert is a Prophecy 2014 type of person who sees huge world shifts in 2014.... or purports to - such as The Spring Of Europe (in line with the Arab Spring Idea)..... (pretty easy `prediction' IMO)... anyway.. you need to read the comments at this above video too - (by going to the link provided above).... but suffice it to say that easily 1/2 are screaming `disinformation' in one manner or another. Indeed. Now, as I've done before at UDDC -- let's see the beginning of the traceout of all this DISINFO of Paul Gilbert.... so I continue down my G search of UFO Ukraine and find - that someone, Open Minds TV, seems to be already doing that about THIS VIDEO! : Oh, I remember Open Minds TV.. a pleasant enough looking site I've seen in the past... who are they. OpenMinds.tv is the hub for news relating to the alien/UFO phenomena. The site provides daily news updates, articles and exclusive photos, videos, merchandise and investigations. 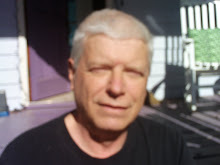 this is Their Production Team For The Magazine And TV Show Website and Magazine seem headed by Alejandro Rojas - Yeah, you know that name, former spokesperson for MUFON. But, the real power of the Open Minds TV seems to be Jason McClellan is an editor and staff writer for Open Minds magazine. Jason is also the producer and co-host of the web series Spacing Out!, web content manager and staff writer for OpenMinds.tv, and co-organizer and technical producer of the International UFO Congress. The International UFO Congress is the largest annual UFO conference in the country. this was this years schedule - http://ufocongress.com/ufo-conference/schedule/ - and yes, a LOT of the focus is on the remaining remnants of the traveling disclosure show - a LOT of which deals with the aliens are real and aliens are HERE theme. Oh, and guess what I FOUND OUT BY PUTTING http://www.openminds.tv/ INTO ALEXA.COM? I FOUND OUT THAT OPEN MINDS TV (Isn't that nice to have our TV be open minded, right?).... anyway... what I found out is that http://www.openminds.tv/ - is actually `http://customercd.com/ to Alexa.com - I'M SERIOUS, plug openminds.tv into the Alexa.com search box yourself. WTH? 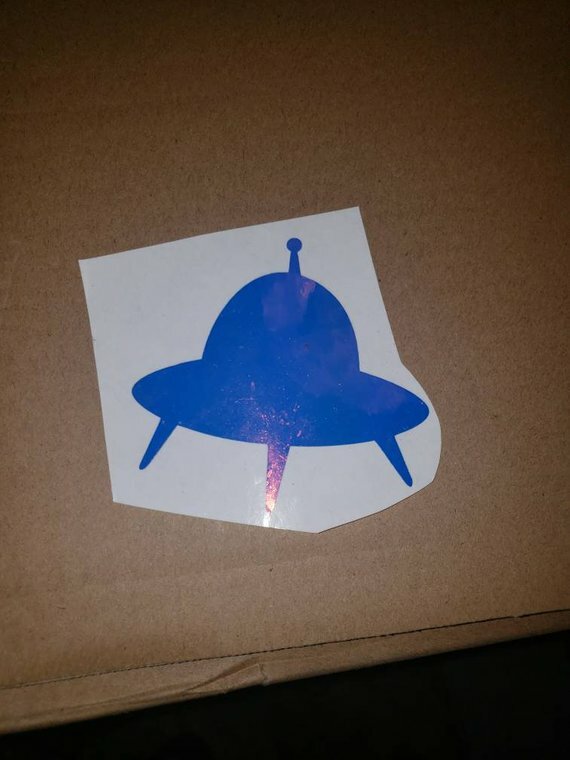 Yes, open minds tv was established on THE DAY that Blossom Goodchild predicted Aliens would hang in the sky over Alabama - Here's The Significance Of 10-14-2008..... so, I then did the whois for http://customercd.com and found nothing about its sourcing... except that it is a holding page for sale. As if to mask Open Minds TV for some reason (?)...... hmmmm. So, at some point two weeks ago and a few days into the `excitement' of the Military UFO Over Ukraine - Open Minds TV covers it - in a loosely journalism manner of tracing the story - just as I am doing. So, The above - Open Minds TV `breaks' the story that the origin of the video was 07TV .... (and bells go off in my head again) hmmm..... I remember that name... and for good reason ... on just 2/22/14 I COVERED-Outed THIS TOTALLY CRAPPOLA GATHERING SITE HERE as Part 4 of my `UFO YouTube' series. It seems like Open Minds is just discovering that this is a fake gathering site (btw, they repeat a lot of what I said in my 2/22 post IMO) ? So, at that point the video has the uploads at BING - Yahoo - And YouTube- And Therefore Goggle - (good coverage by an organized disinfo source?) - and all are unattributed to anyone in the Ukraine on 3/6 as an original upload. Of course. The reason I state this is there have been similar other videos of course.... possibly as fake as this and simply being updated or recycled. Indeed, makes one wonder if the disclaimers of usage of video and such by Paul Gilbert in the top video has to do with him stealing this UFO video from elsewhere. Right? who is now calling it a `Dreadnought' too (and who says she was already covering the MSM angle (of Jokeroo) on 3/8 at BIN - indeed with 4,000 hits on BIN is this story she did on 3/8 BIN Link, in this link she says the story and video is being shown on the MSM (mainstream media - of WHOM I ASK - the mainstream of Jokeroo and 07TV?) (SAY WHAT?) 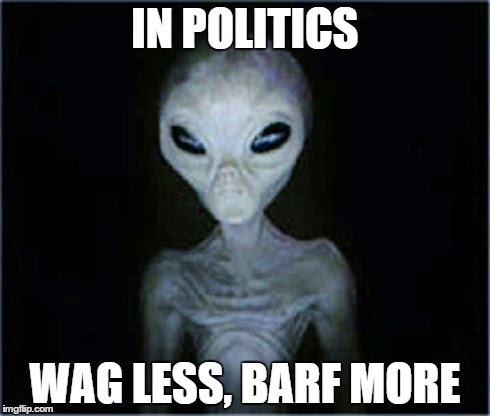 and she ties the UFO video to the Russian supported President in Kiev being ousted - you know, UFOs are political. Susan then sites the same source on 3/9 for the Dreadnought story that Open Minds TV was on 3/10 - A Generic Turner Radio Network Link that simply links to the FRONT page and NOT to any story link about the name Dreadnought. Any person who even bothered to hit Susan's or Open Minds TV link would have found they are and were useless. Oh, OPEN MINDS TV (OMT) (on 3/10) sites Susan as the source of the info about Turner Radio Network. WHY WOULD OPEN MINDS TV NOT SAY THAT THE LINK at TRN - WAS WORTHLESS AND SIMPLY REPEATing SUSAN'S CONTENTION? By not doing so OMT is suggesting that TRN was the source of real info. REMEMBER, THIS IS ALL IMPORTANT BECAUSE THIS IS THE SO CALLED MSM (MAINSTREAM MEDIA BEING SOURCED) - COMPLETE BS. So, I went to Turner Radio Network and entered 353-pat and found NO results and then I removed the - and entered 353 pat and got this, AND AS YOU CAN SEE - IT HAS Nothing That Shows This Story - as you see, so, then, in desperation I entered `Dreadnought' at TRN and got, as you can see, got NOTHING AT ALL. NOTHING! Seemingly attributing it in her story to TURNER RADIO NETWORK - when it is the EXACT words in the CREATED Video of Paul Gilbert! BTW, SUSAN NEVER MENTIONS PAUL.......Clearly Susan is part of the fabrication.... is `Susan' really Paul? Yeah, smoke and mirrors - and seemingly on purpose. On 3/7 07TV uploads video with no attribution saying it happened the day before (3/6) in the Ukraine Here 214K views, oh the sheeple are always in line on this channel 10-1 positive to negative - or do fake accounts get this and similar ratios for total bs videos at 07tv. (?) Now, remember, the YT channel of 07TV is full of warnings to not use there exclusive videos. And remember from my coverage in February (and open minds supposed coverage above where they mention it) - this is the channel with the FAKE 7 foot DOG. On 3/7, the same day, BING Account JOKEROO (His BING Channel Here) uploads the same video with absolutely nothing about the video other than Ukraine UFO. Oh, you'll love this - as you see, Jokeroo's video channel is all kittens and puppies.... (DOGS) WTH? Tons and tons of videos of puppies and kittens. Indeed, he's only been active on BING during the last 30 days setting up this cutesy channel. Is this yet another easy cover? Oh, JOKEROO makes no mention of 07TV. (Remember - 07TV has in HUGE letters how they OWN these videos as a production company. So, can we assume that usage by the immediate ones below is owned by them too?) Certainly they would catch such infractions.... (again, getting totally laughable). On 3/8 Susan Duclos at BIN is already covering the BING video on MSM of JOKEROO (or so she says in her 3/9 post at BIN) .... once again making NO mention of 07TV. BTW, this is Susan's YouTube version of covering this same `story on her YT channel on 3/9 - 23,000 views from Susan's 1000's of Subscribers 7-1 positive to negative. Susan has almost 200 YT videos, and 1000's of subscribers. Oh, BTW, it's at Susan's YT channel with this upload that she sites the Turner Radio Network as the source of the Dreadnought - again. Claiming it was from 3/8 to evidently give it some background for her 3/9 YT reporting. March 8, 2014 -- (TRN) -- The United States has deployed a spectacular new military asset in the skies over the Ukraine. The craft made its presence known on March 6, in broad daylight, and it so baffled media and local residents, they called it a "UFO." Since the craft has now been publicly seen, TRN is pleased to be able to report the development and deployment of the new "Sky Dreadnought." A SOURCE THAT DOESN'T EXIST AND HASN'T EXISTED! On 3/9 Susan is identifying `Dreadnought' in her story on BIN with the same fake attribution to TRN. ALSO ON 3/9 - I Don't know which is first - remember, it's Susan's 3/9 post which has the 3/8 story identifying TRN as the source of Dreadnought. ALSO on 3/9 and again not knowing which is first - The MEDIUM uploads the same crappola video and creates a STORY about the Dreadnought. On 3/10 Open Minds TV attempts to bring light to the situation? My first and consistent analysis is that this all is totally consistent with a theme - the theme of pageviews and advertising revenue to be derived from such BY THE GATHERING SITES AND THE `ALTERNATIVE SHEEPLE LEADERS' ..... and, in this case, at that moment... UKRAINE was the number one search... what to do what to do... oh, I know.. add UFO to the Number One Search and create a story... like a UFO over the Ukraine (reported by no one of course) and then spin it so that the US military is involved (as they are in the Ukraine situation in a manner) and VOILA...... A FOUR TO SEVEN DAY `INTERNET UFO RUMOR' IS BORN, LIVES, AND DIES. It's really pretty sick that you have to read this on UDCC and not at some major newshub - but to expose all of this brings down the fun.... the disinformation.... and pleases the government no end...... remember, Google supports these FAKE gathering sites ... and earns revenue doing so from Adsense advertisers....... while misleading folks for a few dollars. Oh, did you wonder where they got the story for the word Dreadnought being a powerful military tool? Well it seems that Dreadnought was a term for battleships on the water back at the turn of the 20th century - as you can read at that Wikipedia link. Learn something everyday, right? My Kindle Books Are As Deep And Diligent - FREE To Amazon Prime Members - 99 Cents To 4.99 To Everyone Else! Read A Sample And Support Independent UFO Blogging!